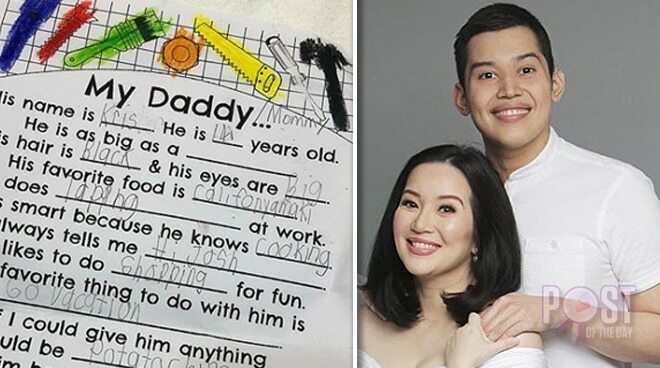 Kris Aquino happily shared a letter her son Joshua made for her in time for Father’s Day and told the story behind it on Instagram. She shared that she came home from “a very long & challenging shooting day” but didn’t feel tired after reading Josh's work. In the letter, Kris’ eldest son described Kris as his dad and the Queen of All Media stressed that her post has no other intention but paint the reality of their life. “Wala kaming pinatatamaan- this is just our reality. And I have been vocal in saying no issues whatsoever with Josh’s biological father because never naman niya kami ginulo & publicly he has thanked me for embracing the full responsibility for kuya’s upbringing,” she wrote. Kris then thanked her supporters for helping her become the mother that she is today. Joshua is Kris’ son with actor Philip Salvador.